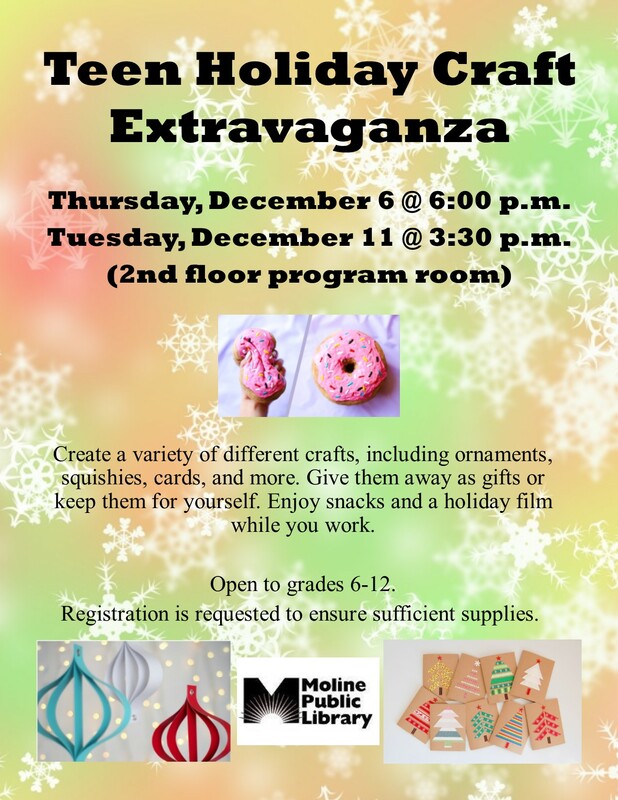 Tweens and teens in grades 6 through 12 can create a variety of different crafts, including ornaments, squishies, cards, and more. Give them away as gifts or keep them for yourself. There will be two sessions: Thursday, December 6 at 5:30 p.m. and Tuesday, December 11 at 3:30 p.m. Both sessions will be held in the 2nd floor program room. Come to either or both and enjoy snacks and a holiday film while you work. Registration is requested to ensure sufficient supplies.